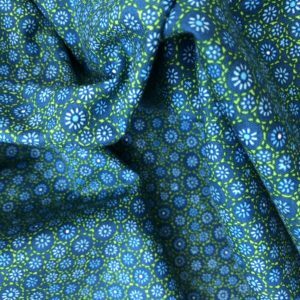 These tiny delicate daises in blue are highlighted with a lime stitched effect on a deep blue ground… it’s a pattern reminiscent of folklore and intricate craftsmanship. 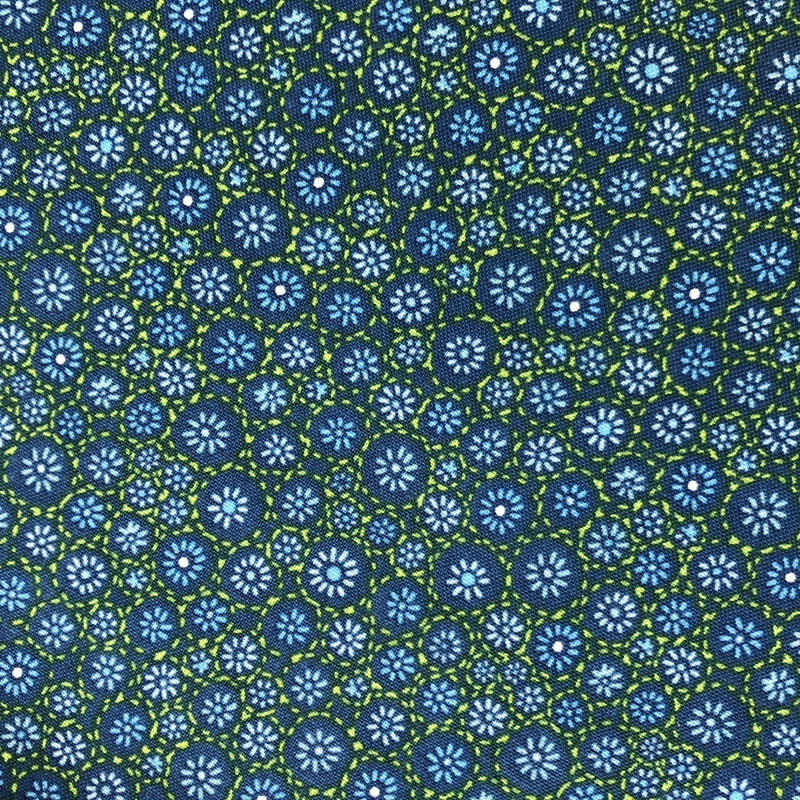 The overall effect is a deep, rich intense teal design. 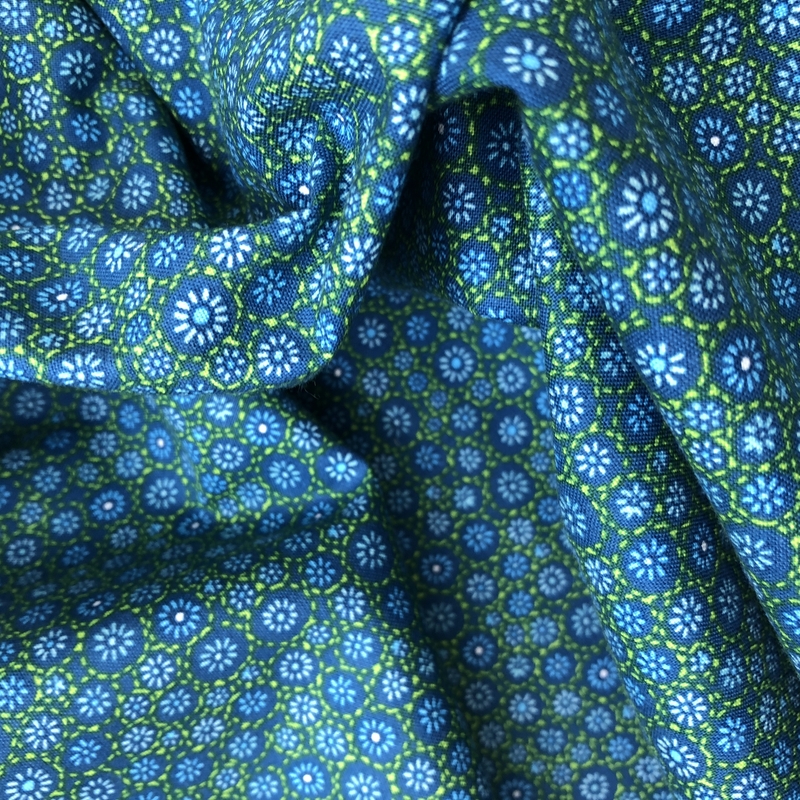 The scale of this print is tiny, it would look amazing for dresses, tiny tops and larger pieces such as a man’s shirt.